Learning how to improve local SEO results for your company overlaps substantially with learning how a national SEO campaign works. You still have to pay close attention to things like meta tags, keywords, page speed, and generating interesting content people actually want to read and link to. 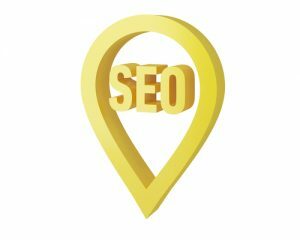 But there are several factors that are unique to the task of local SEO. Make sure that your company’s name, address, and phone number (NAP) appear on every page of your website. Having your NAP information in the global footer of your website is of utmost importance for local SEO results. Doing so makes your location information easy to find for search engines (and humans). You should also create a contact page with a Google Map, your complete NAP, along with a contact form so that new visitors can contact you for more information. Having your local business verified and optimized to 100%, is critical for your online success. In addition, you can ask your happy clients for Google reviews, and be sure to respond to your customers on Google. Next, small business owners will get a boost by uploading images of their business, products, and services. In addition, Google Posts have proven to reel in new customers online. Establish trusted directory listings for your company. One of the ranking factors in the Google algorithm is based on how consistently your business address and phone appears on trusted directory sites like Yelp, SuperPages, Bing Local, and many other web directories. Having a consistent presence will increase your visibility and help improve your ranking in your local area. Be sure your NAP, along with your website URL, is listed on as many of the trusted directory sites as possible. Your business information should be listed exactly as it is on Google My Business and your website. Having inconsistent data across the web could confuse the search engines. Create compelling or useful website content that is of local interest. Interesting, unique content will help grow your local readership, as well as help build links. Think out of the box to find “offline” ways to encourage your local readership. Consider joining a merchants’ association or chamber of commerce, or volunteering with a charitable organization. Making personal connections with your neighbors is a great way to spread the word about your website. Opening a new location, expanding your product or service line, or adding new staff members are just the tip of the iceberg for press release topics. Writing and distributing press releases to local newspapers and magazines can be a great way to generate buzz about your company, and drive more local traffic to your website. Adding local business schema markup to your website can give you a boost in the local search results. According to recent studies, slightly more than 30% of local businesses use schema markup. This language is used by search engines to understand more about your website. While most search engines can understand up to 80% of your website, the other 20% can be learned by implementing schema.org properly. If it all seems a bit overwhelming, know that you don’t have to go it alone. Knowing how to improve local SEO is like all other SEO – it’s a constantly evolving, ongoing process. PersistSEO’s experts know all the tricks of the trade that really work to increase local SEO reach. We stay abreast of upcoming changes to the algorithms involved with local search. Call us at (770) 580-3736 to get more information about how your company can improve local SEO results, or complete our free SEO analysis form.